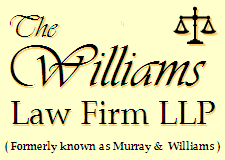 "We turned to Williams Law Firm to handle many of our facility's local legal issues. We've been so impressed with the service and attention to detail, that we've stuck with them for over a decade"
"I was amazed at the closing of my last home purchase. Those who know, often speak of closings in terms of months. My terms were counted in weeks, thanks to Tom Williams!" Alexander, NY he Williams Law Firm, LLP is a full-service law firm providing a wide range of legal services to a diversified client base in the practice of General Law. We have built a strong reputation over the past 50 years, as a highly successful, yet affordable legal firm for the people of Genesee County and Western New York. e take great pride in our commitment to our clients. 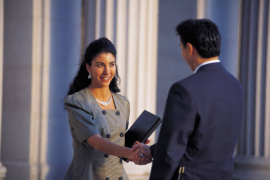 It starts with our highly personable staff, which makes you feel at home as soon as you walk through our doors. It reflects in the quality and attention to detail we give each client as well as, a sensitive approach and honest report to each facet of the client's needs. ur résumé includes representation of well known Fortune 500 Companies doing business in the region. Our experience has helped emerging businesses navigate the corporate laws of Western New York. 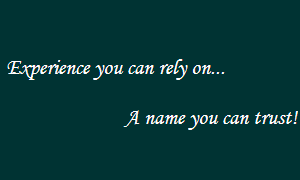 Respected clients continue to turn to us for trusted legal counsel and The Williams Law Firm continues to deliver an exceptional level of fulfillment.